click here to explore the next generation in generative learning! Yvette Hughes works as a life, love & leadership coach, a mentor to women in leadership, a facilitator of positive change and evolution (personal & professional) and one-on-one as a psychotherapist. Yvette is passionate about personal evolution and generative change. Her focus is to help you navigate ways to nourish your Soul, peeling back the layers, unfolding, unravelling and emerging renewed, revitalised. Additional to her experience as a therapist and coach, Yvette has more than 20-years corporate experience in business management, leadership positions and organisational change, and getting women into positions of influence and power. As a certified coach, holistic counsellor, consultant in change management, and a corporate trainer Yvette Hughes brings something more than most others can offer. Holding multiple qualifications and extensive experience in business management along with her professional qualifications in human behaviour, coaching, training, counselling/psychotherapy, public speaking and project management. Yvette is experienced in Industrial Relations, HR matters and Conflict Engagement & Resolution at the AIRC level and so having an ETHICAL business mindset is at the forefront of her work with corporates, NFP's and NGO's. Yvette has a passion for integrating multiple modalities into her compassionately robust style. Her Self-Leadership Programs are aimed at enhancing the attributes and skills of inspirational leaders, upcoming managers, alternative therapy practitioners, sole-traders and individuals destined to be part of actively co-creating positive change in their lifetime to enhance harmony, happiness, well-being and success for all. Yvette works with Corporate clients, facilitates programs for Sole-Traders and designs coaching programs and public workshops for individuals who are motivated to live and lead authentically. For more information visits Yvette Hughes evolved business - Habitat For Success. It is integrating all that richness that grew out of Actum Coaching and Counselling. 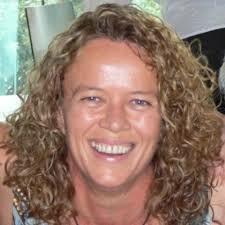 Although located on the beautiful Sunshine Coast, Yvette works with clients from across the globe via Skype and Zoom. You can connect with Yvette via email. Yvette is also interested in collaborative partnerships focusing on the empowerment of women in community and as future leaders. That which is false troubles the heart, but truth brings joyous tranquility!